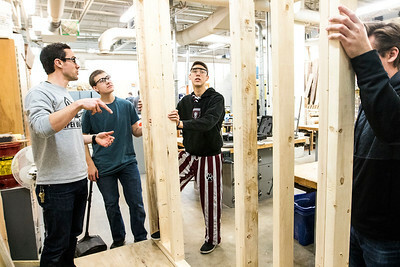 Sarah Nader - snader@shawmedia.com Prairie Ridge student Nick Berg, 17, works on constructing a wall during his architectural design class Wednesday, March 1, 2017. The students are working on a project to build ticket booths for games and other events. 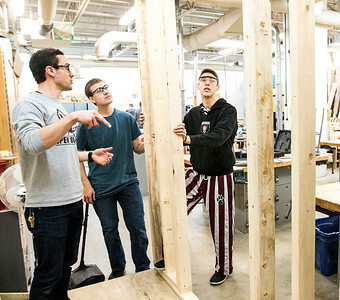 Sarah Nader - snader@shawmedia.com Nick Low (left), CAD and engineering teacher, talks with Prairie Ridge students, Eric Bublitz, 17, and Danny Sievers, 17, during their architectural design class Wednesday, March 1, 2017. The students are working on a project to build ticket booths for games and other events. 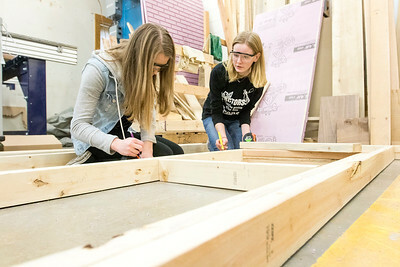 Sarah Nader - snader@shawmedia.com Prairie Ridge students Emma Jewell (left), 16, and Megan Anderson, 16, work on constructing a wall during their architectural design class Wednesday, March 1, 2017. The students are working on a project to build ticket booths for games and other events. 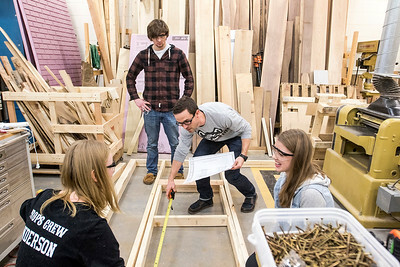 Sarah Nader - snader@shawmedia.com Prairie Ridge students Megan Anderson (left), 16, Jonathan Harris, 18, Nick Low, CAD and engineering teacher and student Emma Jewell, 16, work on constructing a wall during their architectural design class Wednesday, March 1, 2017. 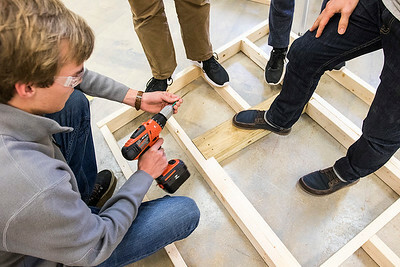 The students are working on a project to build ticket booths for games and other events.